There are two fantastic tools to install on you new Mac: After you install iTerm2, it’s time to install Homebrew! Visit http://brew.sh right now to get started! 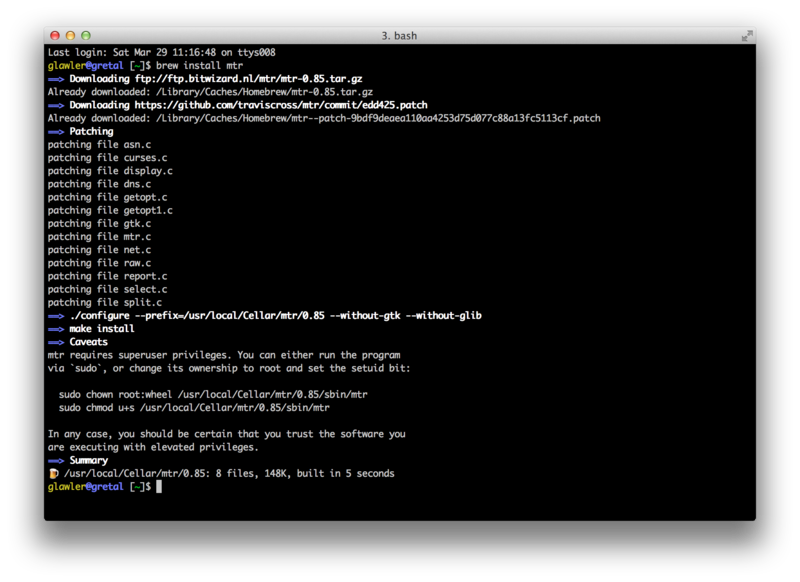 Screenshot showing Homebrew installing mtr on Mac OS X.